Montréal, Québec and Vancouver, British Columbia – EACOM Timber Corporation (ETR: TSX-V) (“EACOM”, or the “Company”) is pleased to announce a private placement of 60,000,000 common shares (the “Common Shares”) for gross proceeds of $30.0 million (the “Financing”). Each Common Share will be priced at $0.50. The Financing will be sold on a commercially reasonable best efforts basis conducted by a syndicate of agents led by Canaccord Genuity Corp. and including Dundee Securities Corporation (the “Agents”). The Company has also granted the Agents an over-allotment option to sell up to an additional 10,000,000 Common Shares on the same terms and conditions as the Financing. The over-allotment option is exercisable 48 hours prior to the closing of the Financing. “We are very pleased about this financing”, said Rick Doman, President and CEO of EACOM. “It demonstrates the strong support that EACOM has for its current and future projects.” The net proceeds from the Financing will be used for working capital and general corporate purposes, including for potential acquisitions. The Agents will receive a cash commission equal to 6.0% of the gross proceeds, and broker warrants in an amount equal to 6.0% of the number of Common Shares sold by the Agents. The Agents’ warrants expire 24 months after closing of the Financing. All securities sold pursuant to the Financing will be subject to a statutory four month hold period. Closing of the Financing is scheduled for April 20, 2011, subject to the approval of the TSX Venture Exchange and the satisfaction of other customary closing conditions. 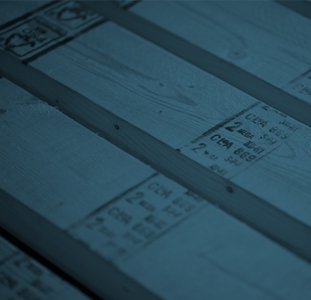 EACOM Timber Corporation is a TSX-V listed company. 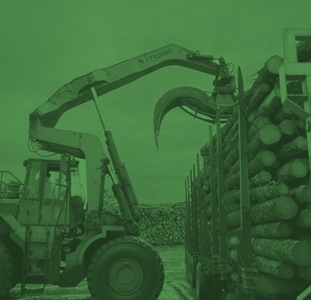 EACOM owns seven sawmills and an equity interest in an eighth sawmill, all located in Eastern Canada, and related tenures. The mills are Timmins, Nairn Centre, Gogama and Ear Falls in Ontario, and Val-d’Or, Ste-Marie and Matagami in Quebec. The equity interest is in the Elk Lake sawmill located in Ontario. The sawmills in Ear Falls, Ontario, and Ste-Marie, Quebec, are currently idled. EACOM also owns one idle mill in Big River, Saskatchewan. EACOM also owns a remanufacturing facility and a 50% interest in an “I” joist plant. The TSX Venture Exchange has neither approved nor disapproved the content of this press release. All director and officer appointments are subject to TSX Venture Exchange approval. All statements in this news release that are not based on historical facts are “forward-looking statements.” While management has based any forward-looking statements contained herein on its current expectations, the information on which such expectations were based may change. These forward-looking statements rely on a number of assumptions concerning future events and are subject to a number of risks, uncertainties, and other factors, many of which are outside of our control that could cause actual results to materially differ from such statements. Such risks, uncertainties, and other factors include, but are not necessarily limited to, those set forth under the captions “Risk Factors” of the Filing Statement dated January 8, 2010 and the current MD&A for EACOM Timber Corporation on file with the Canadian Securities Commissions.